We are entering the final four weeks of our regular season and beginning to prepare for the "2nd half" of our season - also known as the "All-Stars". 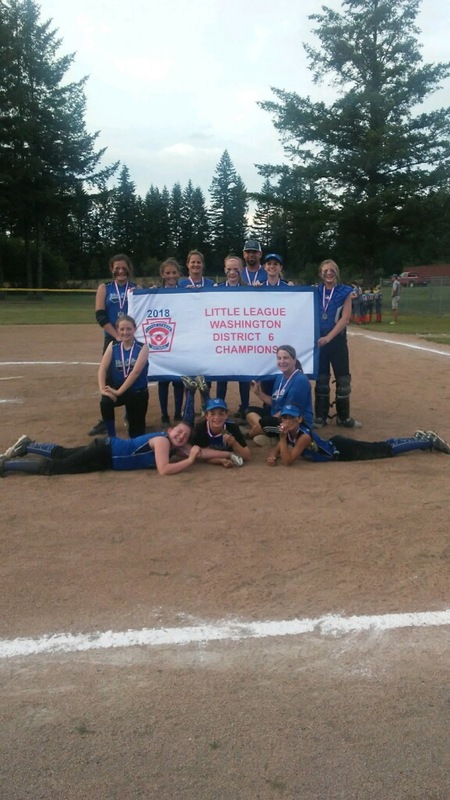 SCLL had a spectacular All-Star season last summer with 5 of our divisions winning their District 6 tournaments and advancing to the state playoffs (2 were from softball!) We hope to continue that success in the 2017 season! All-Star team rosters are traditionally announced at closing ceremonies, and the teams begin practicing immediately after that for their upcoming district tournaments. This year is slightly different in that Juniors & Majors softball will start one week earlier, so they will be announced June 3rd, before the end of the regular season. Players are only eligible to play on All-Star teams that fall within their league age. Players on the MINORS team must be league age 8, 9, or 10. Players on the 11's team must be league age 9, 10, or 11. Players on the MAJORS team must be league age 10, 11, or 12. Softball players' league age is determined by what their age WAS on 1/1/2017. If you are unsure of your player's league age you can find a 2017 league age chart on the SCLL website under the SOFTBALL link on the far left side of our SCLL home page. Players must also have residency with Salmon Creek Little League to be eligible for any of our All-Star teams. Residency requirements can be found on the website under Boundary and Residency. You should have also received an email recently outlining the residency requirements. If you do not have residency with Salmon Creek Little League you are not allowed to be on a SCLL All-Star team. These rules are set by Little League and they need to be taken seriously. The following teams can/may be formed based on # of potential candidates that sign up. If there are not enough players in a certain age group to create a team, SCLL will not have a team in that division. 12 year olds dual-rostering on a Major & Junior team are eligible to be selected on either all-star team as long as they participated in 60% of the games for that division. Since players are potentially able to be selected for multiple teams, they must identify which team is their #1 preference when filling out the online form. The form asks for your daughter's jersey and pant size. This is not her final order. We just need to get an idea of #'s of each size we will need when we order the uniforms. If you have a short vacation planned and would still like to participate, please note it on the form. Juniors (ages 12/13/14) & Majors (ages 10/11/12) District Tournaments start June 17thand should be completed by the last week of June. Minors District Tournaments (8/9/10 and 9/10/11 teams) start June 24thand should be completed by July 1st. State playoffs will be in various locations depending on the age division (Seattle, Spokane, Bellingham). Most of these tournaments will start immediately after the July 4th Majors and Juniors divisions can play onto Regionals and World Series play in Late July / Early August. Managers and coaches select the 8/9/10 and 9/10/11 teams. Players, managers, and coaches choose the Majors & Juniors teams. All players that indicate their intent to play on an all-star team will need to attend the All-Star Showcase on June 2nd where they will demonstrate their skills and abilities including defense, hitting, and running. All voting coaches will attend. Juniors/Majors teams will be announced Saturday, June 3rd. Minors teams will be announced at closing ceremonies June 10th. All players selected to an all-star team are REQUIRED to attend the MANDATORY PARENT-PLAYER-COACH Meeting. Failure to attend this meeting will remove your daughter from the team. Juniors / Majors meeting will be held Saturday, June 3rd, 5pm-6pm in the LJSP clubhouse. Minor teams will meet immediately after closing ceremonies, June 10th in the LJSP clubhouse. The fee for the 2017 All-Star season is $100. 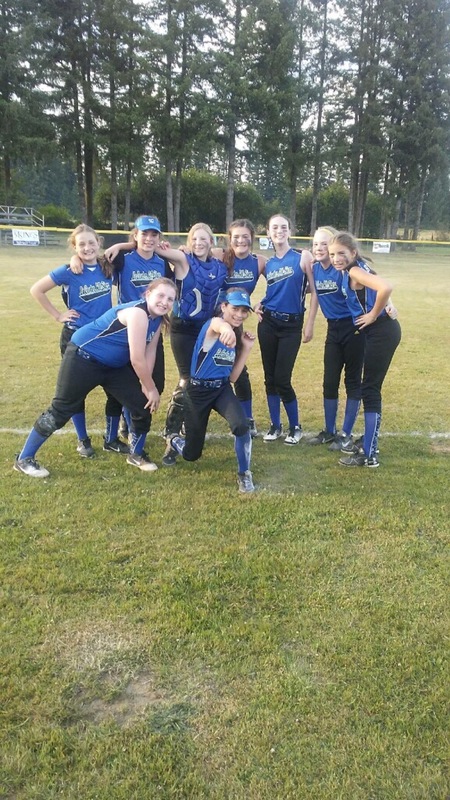 May 25th DEADLINE for ALL AGE ELIGIBLE PLAYERS (league ages 8-14) to respond via the link http://www.salmoncreekll.com/intent_softball17 regarding their intent as to whether or not they wish to be considered for the 2017 All-Star season. June 2nd: All-Star Showcase where players demonstrate their skills and abilities to voting coaches. Luke Jensen Sports Park, Field #2, 6pm-8pm. June 3rd: Junior/Major All-Star teams are announced on SCLL webpage, Facebook, and emails sent out. Junior/Major Mandatory All-Star parent meeting 5pm-6pm, Luke Jensen Clubhouse. June 4th: Junior/Major All-Star practices can begin. Junior/Major Mandatory paperwork turn-in and Uniform Fitting, 5pm-7pm, Luke Jensen Clubhouse. June 11th: Minors All-Star Paperwork turn-in and Uniform Fitting, Times TBD. Minors practices can start. Players will only be eligible for consideration to the teams that they indicated with a YES on the form by May 25. National Little League rules require that we receive a response from every eligible player. If you have any questions, please contact John Aarhus (softball@salmoncreekll.com).